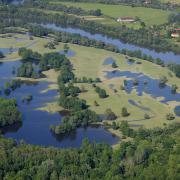 150 people discuss the future of the river - parliamentarians will be informed. On Wednesday and Thursday the first public discussions about the future of the Vjosa Valley took place in Çarshovë and Përmet in southern Albania. While the government envisages the construction of eight dams along the river, the mayors and people of the affected communities support the alternative idea of establishing a national park. 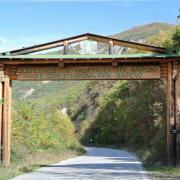 European Convention on Nature Conservation investigates hydropower projects in Mavorovo National Park. The Standing Committee of the Bern Convention is initiating proceedings against Macedonia due to the projected construction of hydropower plants in the Mavrovo National Park. A group of experts appointed by the Standing Committee will investigate whether the projects violate the Bern Convention on the Conservation of European Wildlife and Natural Habitats. 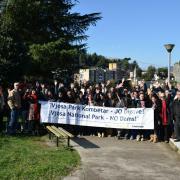 Zagreb, Vienna, Radolfzell, December 1, 2014 In an open letter, fifteen environmental non-governmental organisations (NGOs) protest against the intention of the International Sava River Basin Commission (ISRBC) to adopt a management plan for the Sava River basin. This management plan is based on misleading and false data; it is violating EU legislation and risking the future of the Sava – one of the most valuable river ecosystems in Europe.